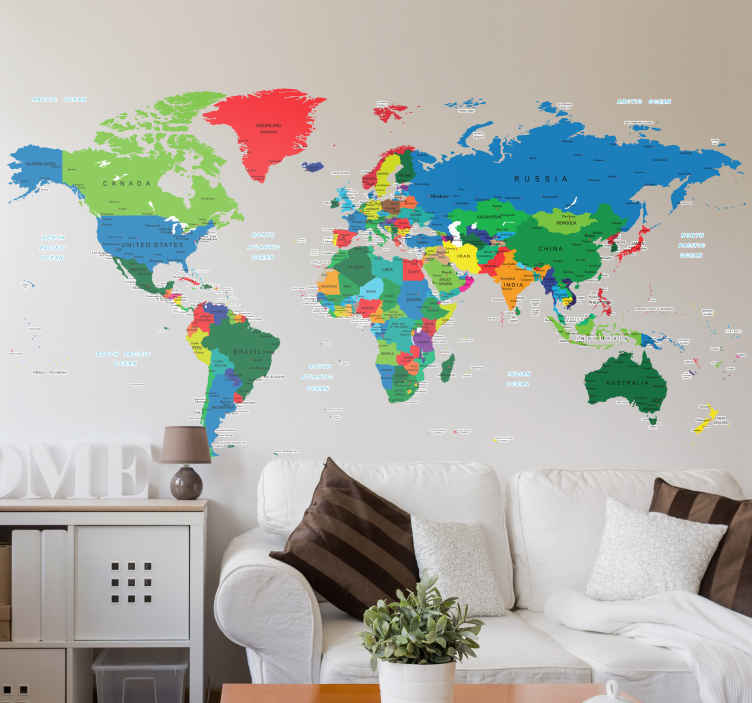 World Map Wall Sticker. Bring colour to your home, office or business with this colourful world map sticker. Each country can be clearly identified through colours or the name tags located on the country. If you dream about travelling the world, you can mark your progress with this world map sticker. We use a special adhesive film that makes no mess and is easy to apply to any flat surface. Start your adventure today!